Long-known as the place to be for enjoying an all-day party filled with great beer, even better food, singing and eye-candy everywhere. 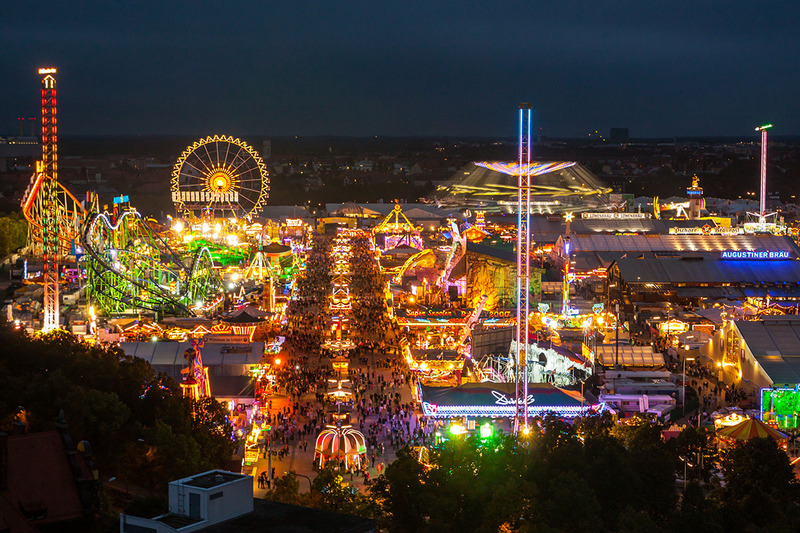 The Oktoberfest (or Wiesn as it’s known locally) may be the biggest event of its kind in the world today, though it didn’t quite start that way. 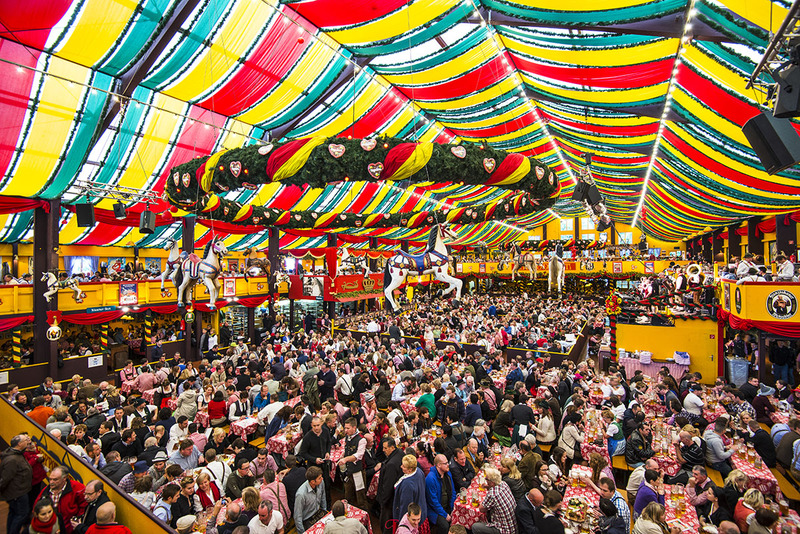 Originally, the Oktoberfest, which is held annually over three weeks from mid/late September until the first week in October was planned for the people of Munich. This was as a celebration of the marriage between the Crown Prince Ludwig to Princess Therese of Saxe-Hildburghausen on October 12, 1810. Throughout its 200-year history, the Oktoberfest has been cancelled 24 times due to cholera outbreaks. It remained completely closed during WWll from 1939-1945. Since then, aside from heightened security, there have been no major issues affecting the fest. Since 1950, the opening of the fest is marked each year at precisely 12:00 by a twelve-gun salute and tapping of the first keg. 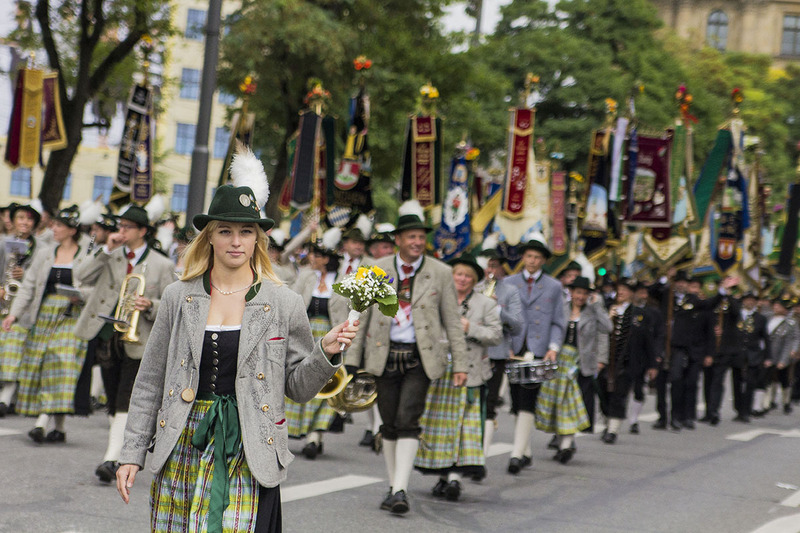 Other traditions include the traditional Bavarian Trachten worn by those visiting the fest. 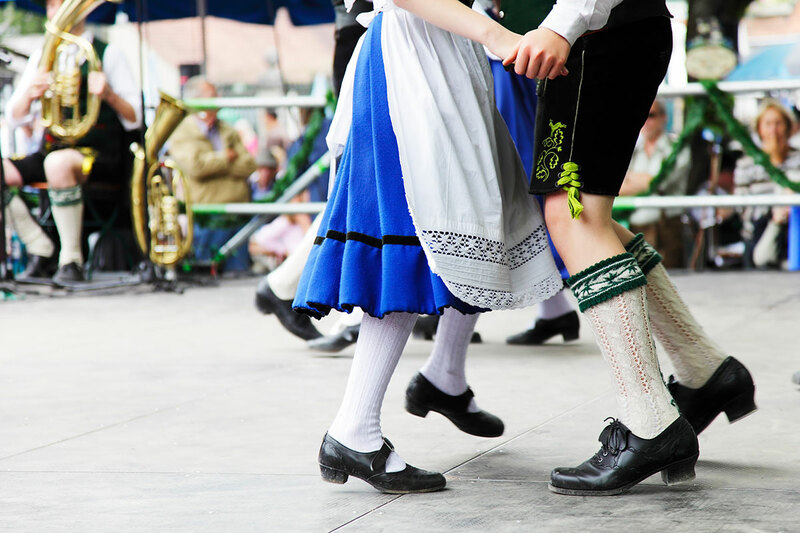 Men will generally be seen with Lederhosen, while the ladies wear a Dirndl. Tents at the fest play an important role. With 14 large tents and 20 small tents to choose from, there’s something for every taste. Many of the larger tents are brewery-specific, meaning they only serve that beer. However, if you’re in the mood for wine, there’s a tent just for that. If partying in the same place as celebrities are more your thing, then the Winzerer Faehndl is the place to be. A lot of the small tents are focused more on the food. Although you can still enjoy great beer, and soak up the experience in the less crowded place. This was originally brought in as part of the Oktoberfest to celebrate its 200th anniversary, and due to its popularity, has managed to stay around. If you’re looking for a more authentic Oktoberfest experience? 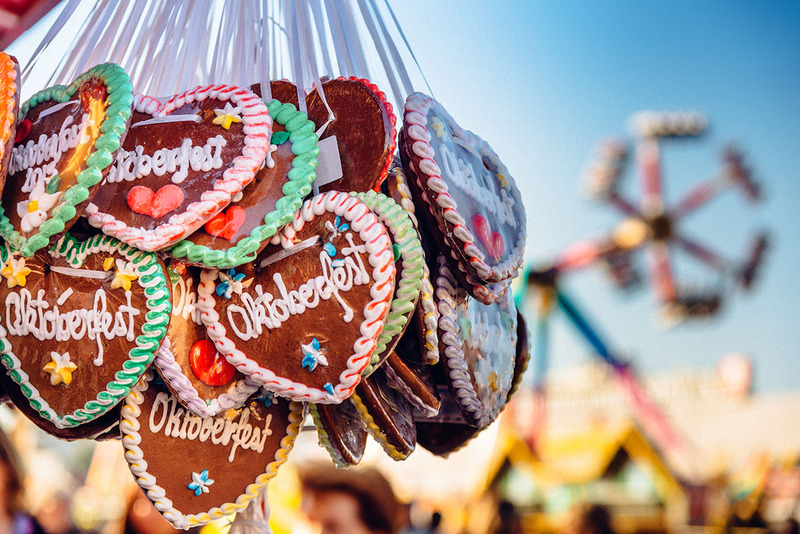 From the historical costumes, traditional food, and nostalgic attractions, Oide Wiesn is a great day for all the family. Oktoberfest beer is 2% stronger than already-strong, pure German beer. So if you’re not used to it, then pace yourself, and alternate with water. Beer is served by the litre, though non-alcoholic soft drinks, such as Apfelschorle (apple juice with sparkling water), and Spezi (Cola mixed with Fanta) are available to order. Although entry is free, beer and food prices are quite high and increase yearly. For 2017, a beer is almost €11, so be sure to budget accordingly. Arriving at Oktoberfest early in the day is recommended if you want to get into one of the bigger tents, as they fill up fast, and get extremely busy. After a certain amount of people are inside, you may be refused entry for safety reasons. Reservations for tables can be made to secure entry, but you’ll need to book these well in advance, (up to a year in some cases!) Expect to pay more for premium seating away from the main crowd. 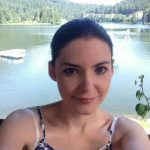 Finding affordable accommodation, and even flights to Munich during the Oktoberfest is something of a talent. So it’s highly recommended to also book these well in advance so you can take advantage of the best offers. 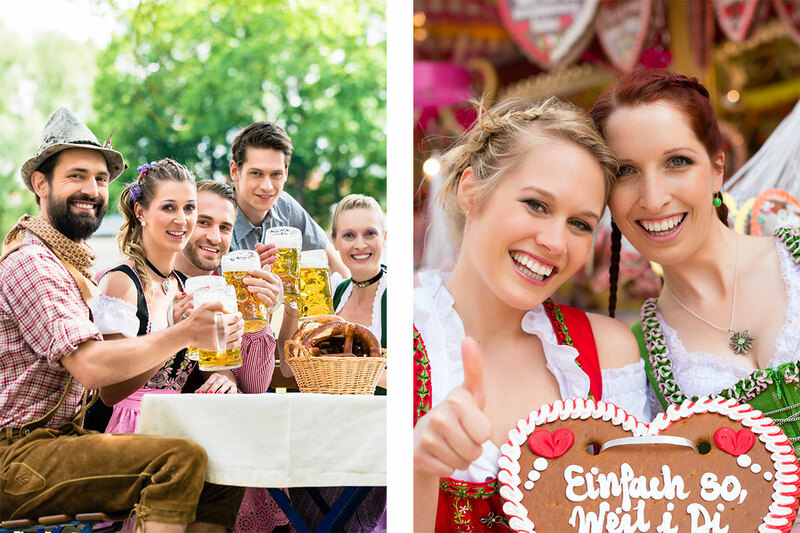 Oktoberfest family day is held every Tuesday between 10am – 7pm. Children receive discounts when using the attractions, and for food. These days are less busy, so they’re great if you want to enjoy the fest with children. Medical professionals and police operate onsite at Oktoberfest to deal with emergencies. 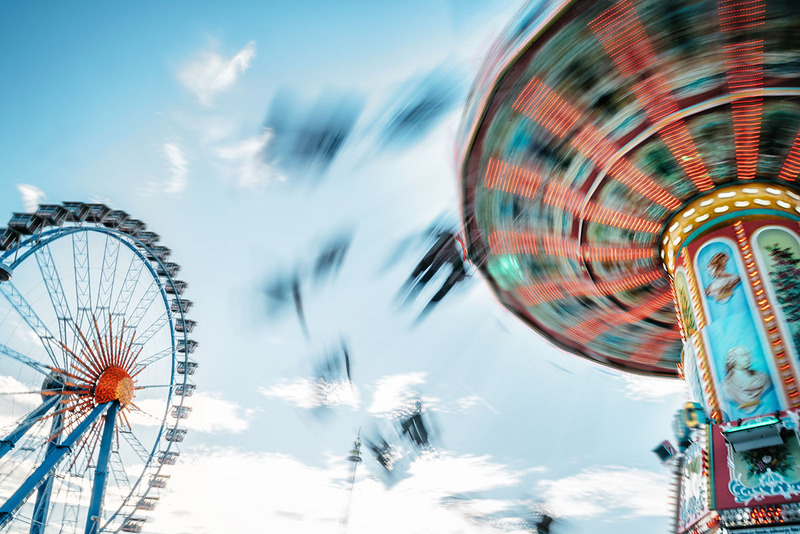 Safety at Oktoberfest is a big priority, so you can enjoy the fest with peace of mind. Munich has an excellent public transportation system that ensures you can easily and quickly get around the city, including to and from Oktoberfest. To reach the Oktoberfest grounds on the Theresienwiese, you take the U-Bahn (underground) from the Hauptbahnhof (central station). There are two lines, either the U4 in direction Westendstr or the U5 in direction Laimer Platz – both of these lines stop at the Theresienwiese, which is where you will depart. You can also download this map in English to get a complete overview of the Munich suburban rail and city underground. Although the Oktoberfest is a commercial attraction, it’s an experience that’s worth a visit at least once and offers much to enjoy. Can’t visit during the festival? Then other tours are available throughout the year. 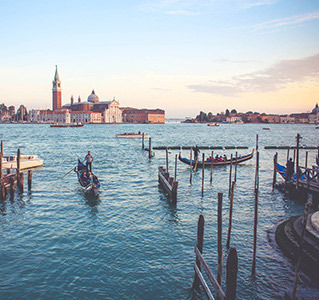 Are you thinking of going this year? Or have you been recently? We’d love to read about your experiences in the comments below. Next Next post: Which Disneyland® Paris Ride Is For You?